Mission Beach is a good spot for beginner to intermediate surfers. 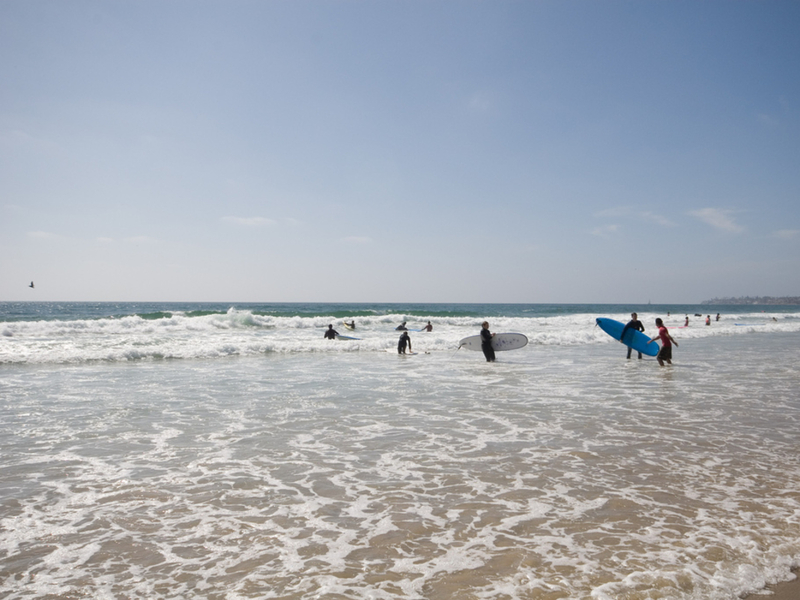 Mission Beach, or “Mission”, is a perfect example of a California surf town. There is a dichotomy here between the super wealthy beach vacationers and the local surf rats. Mission is based around the “beach life” and you will either love it or hate it. This town has a slow pace, so grab your board, turn on the reggae, and cruise over to the board walk. Mission is not known for perfect waves but that doesn't matter, as it's such a unique place. Mission is mostly beach breaks that work on a mid-tide, and turn on with a northwest wind swell. Shorter period swells are good for this stretch of coast and if you are serious about surfing get there early as the wind can be an issue. Arrive in Mission expecting mediocrity and you could be very surprised by the quality of surf. Fall/Winter bring the best surf and conditions and Spring/Summer bring out the masses. 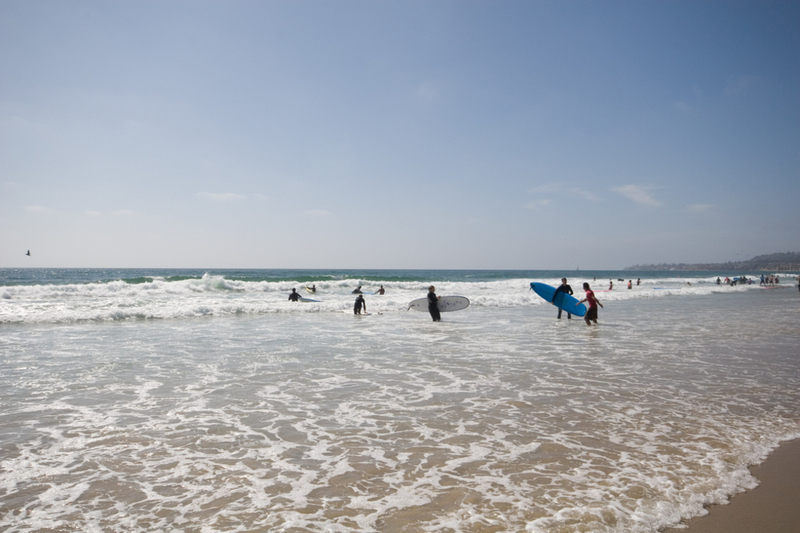 Remember you didn't come to Mission for perfect surf, so there is nothing wrong with a crowded beach. The majority of breaks in Mission are named for the street you walk down for beach access. 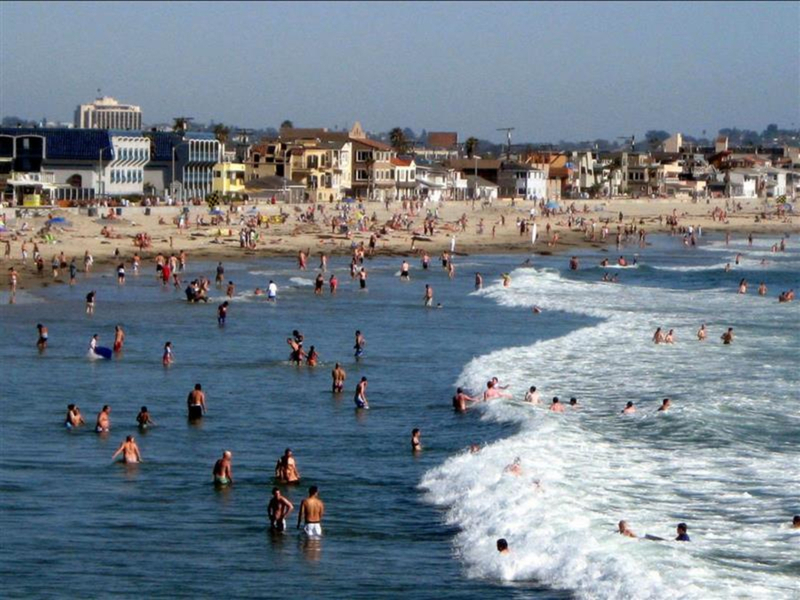 The more famous surf spot for tourists is Santa Clara Street because of its proximity to beach rentals. In reality, all streets in Mission are created equal so just walk south along the boardwalk until you see a lonely peak. If you walk along the boardwalk far enough south you will find yourself at South Mission Jetty, which is the geographical end of Mission beach. South Mission is known for surf rat locals who try to protect their break against the slow creep of enjoyment. You will see these guys sitting in the back of their lifted trucks at 11:30am on a Tuesday, drinking Coors Light. Disclaimer- if you spend too much time listening to these guys you will lose all faith in the human race. So my suggestion is head back north find a nice peak, throw down you towel, and enjoy Mission. Surfers, Zoners, Sorority girls, and men in their mid- fifties who love tank tops. The surf in Mission can be enjoyed by all levels of surfer. Mission is a great place to center a surf trip around because of proximity to nightlife and easy beach access. The main source of partying in Mission is house parties so don’t be afraid to strike up conversations with random people on the beach. Again like Pacific Beach, some of the most beautiful people in the world call this place home so if you are single, falling in love is pretty easy. Getting to Mission is extremely easy. From the north, take Seaworld Drive to W Mission Bay Drive, to Mission Boulevard. This will put you right into the heart of Mission with ample parking near the infamous Belmont Park. To get to the same spot from the South take the 8 freeway to W Mission Bay Drive, to Mission Bay Boulevard. Surfing in Mission is pretty safe as the bottom is sand. Be careful paddling out at South Mission Jetty on a good swell unless you rip and know the rules.